Know your world wars. The facts, the feelings and the fallout. This ultimate pack gives you an all-round overview of two wars that shook the entire planet. First up, get the facts. 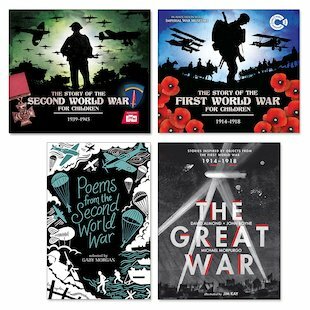 There’s a book for each war: a complete factual summary, with maps, info, diagrams and incredible pictures. Know the facts? Now let’s explore the feelings. You can start with The Great War Anthology, where three top writers explore the First World War in dramatic short stories. Then it’s time for Poems from the Second World War: heartfelt verse that shows you the emotions of war as no fact book can.